"Bosch original replacement parts are developed and manufactured together with your power tool. They fulfill the same criteria and pass the same tests as parts used in production. These criteria and tests ensure tolerances as well as critical performance characteristics match. Compatibility of the replacement parts to the power tool is assured. The same precision methods and processes that helped the power tool performing to peak potential ensure that each part fits precisely and brings the power tool’s performance back to as-new condition. Bosch parts continue to be available even after the end o production, so the tool can be kept operational for many years to come. Connect high performance and precise fit with unparalleled availability and delivery from Bosch parts warehouses. You can be sure that the right Bosch original spare part will put you back on the job as fast as possible." The best protection due to clean and complete insulation. Less vibration and long lifetime due to optimized balancing using factory processes. High Overall stability and lifetime due to precise automated armature winding and cleanly guide protective bands. 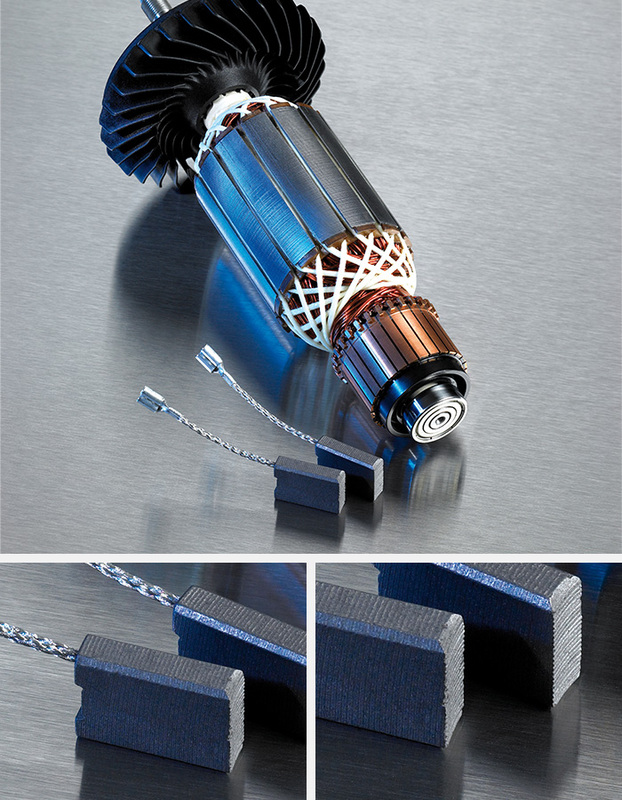 Maximum power yield and longer brush life due to optimized commutator. Additional protection when the wear limit is reached before grater damage can occur. For reduce abrasion and extended lifetime. For quick "run-in" of brushes and reduced spark formation. Easy insertion, a perfect fit and maximum contact hanks to optimized shape of the edges.